If you haven’t heard there are new regulations coming into effect today. 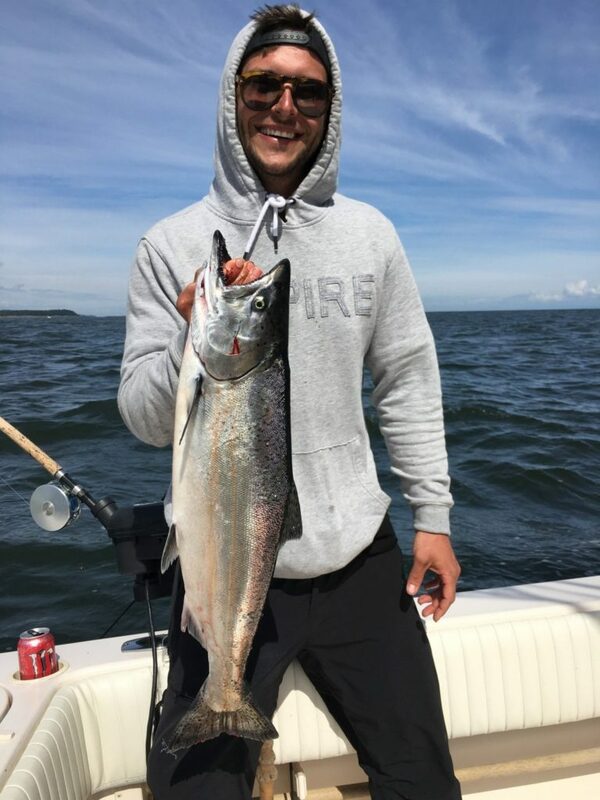 Go to the link, but in short, our local waters have been reduced to 1 chinook salmon per day. I will be detailing how we arrived here in future reports, or perhaps in a separate email all together, but I need some time to gather my thoughts and present our customers with the facts. The quick version is this decision by DFO is irresponsible as they had the data and means to make much better decisions but chose to make broad regulation changes that will have major economic impact. This is largely a political decision so it looks like they are doing something to save the Southern Resident Killer Whales and restore chinook populations but the reality is this broad closure will do neither as they haven’t addressed the underlying issues such as the exploding Pinnipeds (seals and sea lion) population. I have said too much already, but stay tuned for a very detailed article from me next week and it will include the facts of what is really going on and information on how you can get involved, and you will need to if you want to have access to salmon in our local waters in coming years. Okay, off the soapbox and back to the fishing. 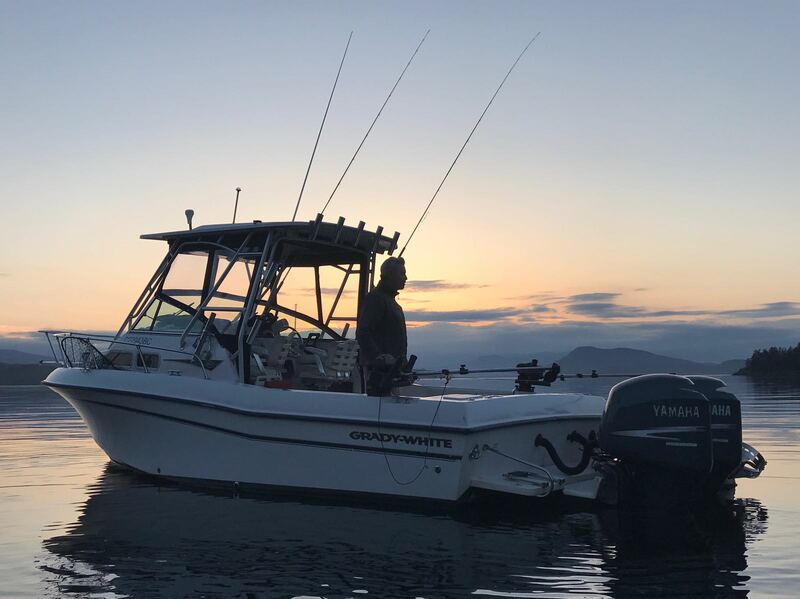 Things have been slower locally with a few fish up Howe Sound and a few fish off South Bowen and Roger Curtis. The better fishing has been at Thrasher on most days. The fishing has been solid there but a bit flashy. We had some red-hot double-digit days followed by days where it was hard to scratch up even a few fish, so clearly the fish are moving around a lot. To make it even tougher, there are fish offshore as well as inshore on the structure. That is a lot of water to cover in one day so you live by the call or die by the call in terms of where to go as you wont be able to cover both areas in one tide change or even one day. There have been fish from 100 feet to 200 feet on the riggers, depending on the clarity of the water and how sunny it is. Definitely deeper in the clear water and sunny weather. Hootchies and spoons have been good; I featured some of our top producers in last week’s report, so check that out for details. 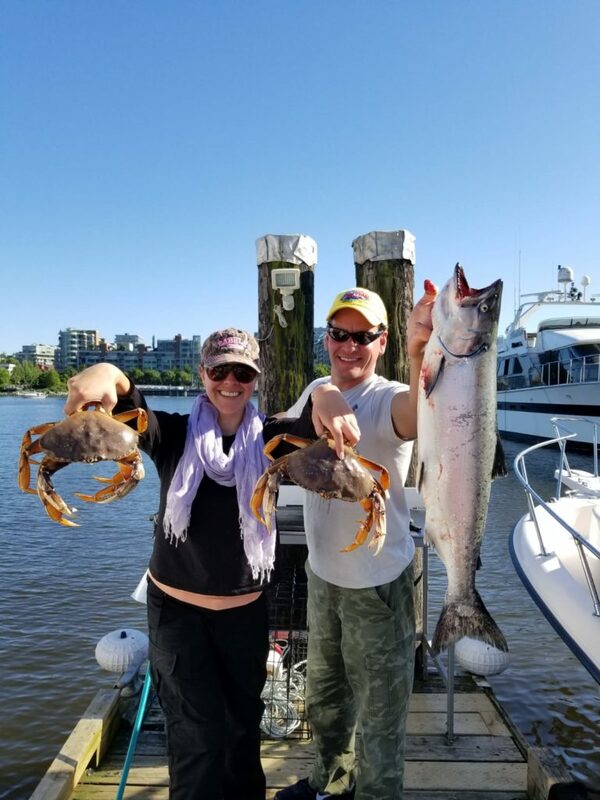 Crabbing has been solid this past week. 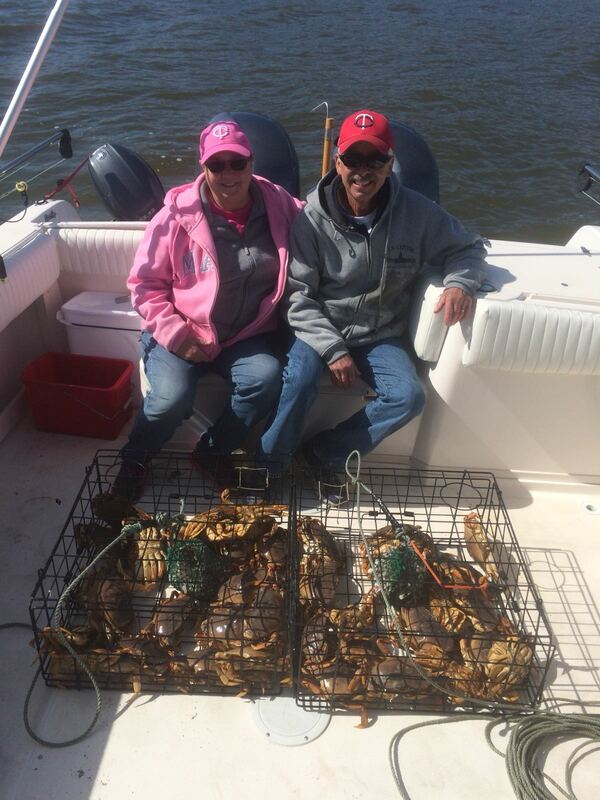 Like we said… crabbing has been solid. 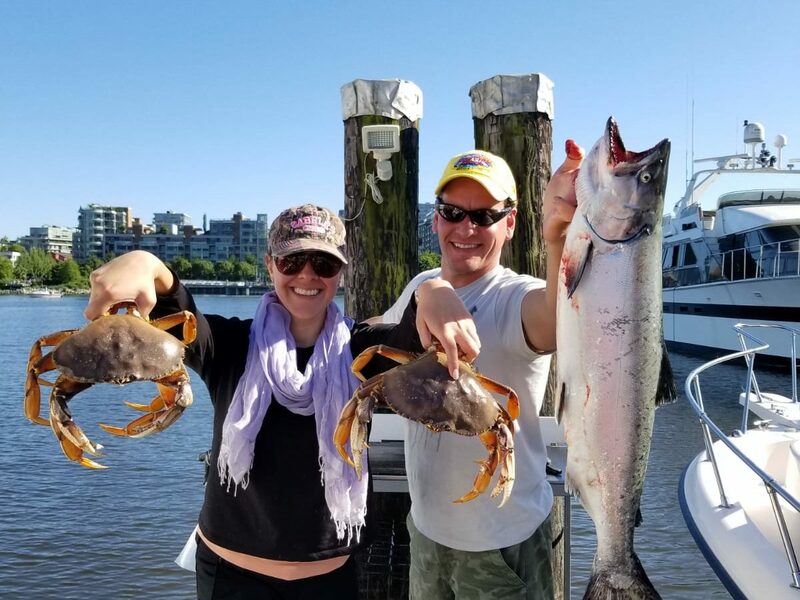 With the summer fishing season progressing, many anglers are looking to round out their catch of salmon and crabs with a few lingcod, rockfish and other bottom fish. Targeting these fish specifically is not that hard, and with the right gear, can actually be quite enjoyable. Depending on depth and the amount of weight needed, 5-7ft medium-heavy to extra-heavy rods are a great choice as they offer the right amount of flex while fighting fish or jigging without being affected by the boats wave action. The Penn Carnage and Shimano Trevalla are just a couple of my favorites that I’ve used through the years. For reels, I prefer lever-drags over star-drags for guiding as I can dial in the right amount of drag depending on presentation and species targeted. For simply recreational fishing, a star drag is more than fine for those weekend warriors. Regardless of which style you choose, braided line is a must as it has superb sensitivity, durability, and strength-to-diameter ratios. 60-100lb is recommended. 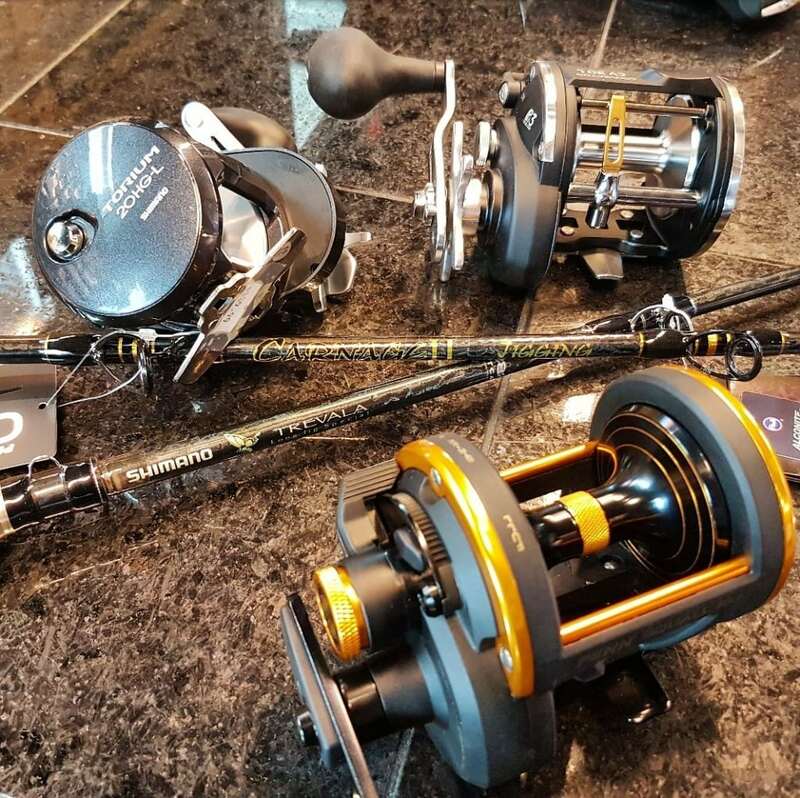 My favorites are Powerpro Super-Slick or Daiwa J-Braid. 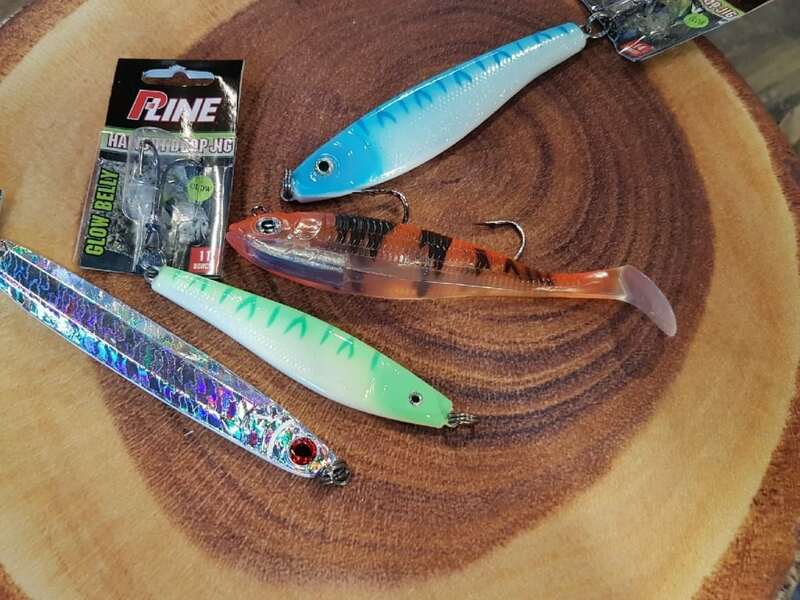 When it comes to lures and baits, my favorites are the Hali Drop and Kodiak from P-Line, as well as the Paddle Tail from Gibbs. All three have their own unique actions that entice fish to bite, and they all come in various colors to match water clarity and light spectrums. The Paddle Tail from Gibbs have become very popular in the last few season because they can also be used as a swim bait, worked carefully along pinnacles, ledges, and drop-offs. You simply drop them to the bottom and slowly reel them back up about 20ft. The paddle has a ton of action. Once you get about 20-30 feet off bottom you drop it back down and repeat the process. You can do this drifting or motoring the boat so you can cover a lot of ground without too much work. As for rigging the Paddle Tails we run a slydo snap above a bead and heavy barrel swivel or 6-ball bead chain. 3ft of 40-60lb leader works well bellow the swivel then tied to a heavy Coastlock snap or directly to the lure. The slydo allows you to change weights depending on current, the weight of you lure and depth. We have 6-16oz ball weights on hand to match the conditions. One pro tip is we recommend taking pliers to the slydo and pinching the clip to tighten it up. Sometime with heavy weights or big fish when they are thrashing at the surface the slydo can open up and this is not a good thing for boats, anglers or lost tackle when a 16 oz ball weight comes flying off. If you are in an area with larger halibut or you are fishing the larger Hali Drop jigs or Kodiaks I like to run the braided mainline through a brightly coloured bead and then tie it off to a heavy duty barrel swivel. From that, I use about 3/4 to 2/3 a rod length of heavy 80lb mono fed through another bead and then tied off to a Scotty Coastlock snap. This set up allows me to easily switch out jigs and spreader bars, as well as easily handle big fish when lifting them in to the boat by grabbing the heavy mono. 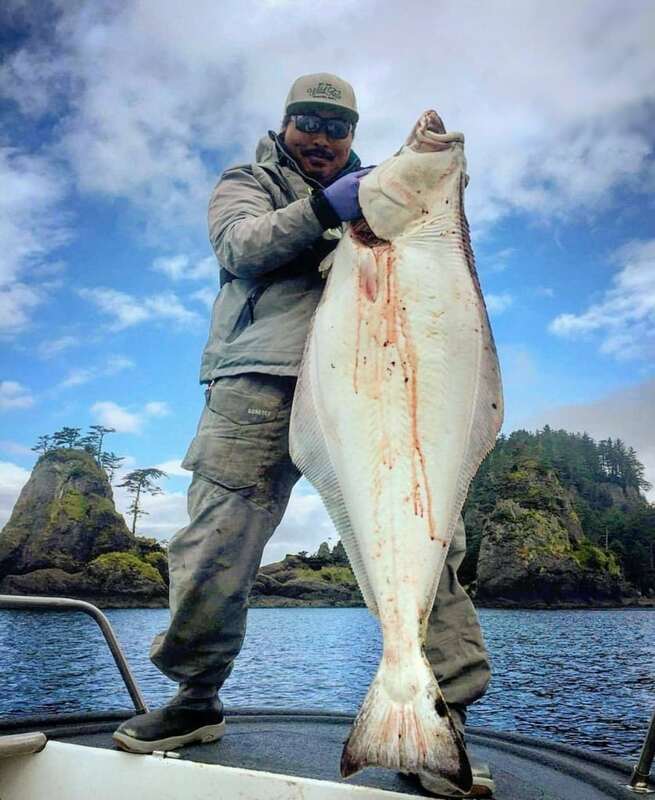 Halibut from a trip up north last season. Hopefully this brief tutorial can help get you started, and if you have any questions, come on in and I’d be happy to help get you pointed in the right direction.